My second day of my first year at Smith College, I walked in to my only evening class exhausted, scared, and unsure that I should be there at all. Every college first year knows that feeling: an unpleasant flutter in the stomach, a dry mouth, and unable to think of anything but home. But then the woman at the front of the classroom began to talk. Two hours later, when I came back to myself, I realized I didn’t have that feeling anymore. It had been replaced with a complete certainty that I was where I belonged. My teacher, Ellen Doré Watson, had spoken more warmly, humorously, and passionately about poetry than anyone I had ever heard. How could I not want to be somewhere where people like her taught? How could I not want to be a poet after hearing her speak? You can read Ellen’s bio to hear about her accolades, of which there are many, but as someone who’s been lucky enough to know her I can tell you: she is not only an incredible teacher, translator, and friend; she’s a poet to be reckoned with. How do you feel the use of differing points of view can expand poetry? Poems are bigger than the poet. Even when writing out of myself, I can be wider and see farther than in real life. Writing, we’re outside of the stream of movement and outcome, in a realm where we can be our better selves, or our not-selves, open and questioning. Questions enlarge us so much more deeply and fully than answers, leading us away from assumptions and black & white thinking and instead toward devilish uncertainty. Chinua Achebe said writers don’t give prescriptions, they give headaches. I love that. Headaches of the best kind—gnarly conundrums of human complexity. In your work, you often write personae poems—such as the section “Baker & Tess” your most recent collection, Dogged Hearts—how do writing these pieces differ from your more personal poetry? After several autobiographically-based books, I was both eager and terrified to step out of the self, so I tip-toed towards this by turning from my own divorce to the beak-up of an imagined couple, “Baker & Tess,” whose story is my own turned inside out and sideways. It was refreshing to be equally—or alternately—invested in both characters, free to write from inside, alongside, or against each of them, and this emboldened me to stretch toward what turned out to be the book’s first section: flash moments in two dozen different characters’ lives. It was thrilling: each poem could start and end anywhere, no map or expectations! Some critics would argue that no matter the point of view used, all poetry is “confessional,” personal work that ultimately reflects the writer rather than speaker used. Do you agree? Yes no maybe. Sure, all writing reflects the writer in some way, but in what way? The two poems in Dogged Hearts in which characters reject the idea of abortion don’t reflect my own views or experiences but rather my interest in exploring people very unlike myself. I’m hugely interested in human urgency, emotional complexity, and how they’re expressed. Other writers might choose to privilege intellect, or construct, randomness or music over “expression.” Which—whatever anyone’s personal predilections—is great, and how it ought to be. Of course we’re tempted to think we know something about the poet from the poems, but that’s not only dangerous, it’s really not the point. You do a lot of translation work—how do you feel the multiple points of view at work (yours, the original poet’s, the speaker’s) effect the creation of a translated poem? Every translation is one particular performance—among many possible performances of that text. As the distinguished translator Gregory Rabassa has said, “Translation is the art of choice.” If there’s a considerable distance between the poet’s and the speakers’ voices, that complicates the task (more variables = more juggling, more layering). But the translator, like the actress, must mute her own voice. Whether the personal impulse to translate a given text is based on affinity or curiosity, whether the ‘voice’ is authorial or thoroughly fictional, translating is about stepping into an ‘other,’ spending time in someone else’s shoes, and leaving the self behind. Which I find to be both the pleasure and the challenge of translation. And finally, just for fun: if you could write from the perspective of any person, living or dead, who would you choose and why? If? But I can! We can. As Wallace Stevens said, a poem is a meteor! Ellen Doré Watson’s most recent volume of poems is Dogged Hearts (Tupelo Press, 2010). 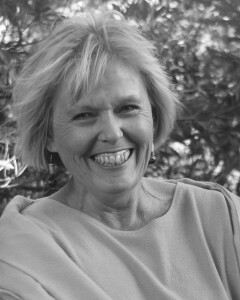 Her journal appearances include The American Poetry Review, Tin House, Orion, and The New Yorker. Among her honors are a Rona Jaffe Writers Award, fellowships to the MacDowell Colony and to Yaddo, and a NEA Translation Fellowship. She has translated a dozen books from the Brazilian Portuguese, including the work of poet Adélia Prado. Watson serves as poetry editor of The Massachusetts Review, director of the Poetry Center at Smith College, and teaches in the Drew University Low-Residency MFA program in poetry and translation. I first became aware of Ms. Watson’s work at Round Top, TX several years ago, and I’ve been a fan ever since. I enjoyed reading what she has to say about poetry and translation. I cherish her books and would recommend them to everyone! So proud of Ellen Dore Watson!!! We knew each other in elementary school and she always had a glow. She is truly a very special person.